Jesus stopped and said, “Don’t be afraid, come to me.” So, the man threw off his coat, jumped up and ran to Jesus. Right away the man could see! What was wrong with Bartimaeus? What does the blind man call Jesus? 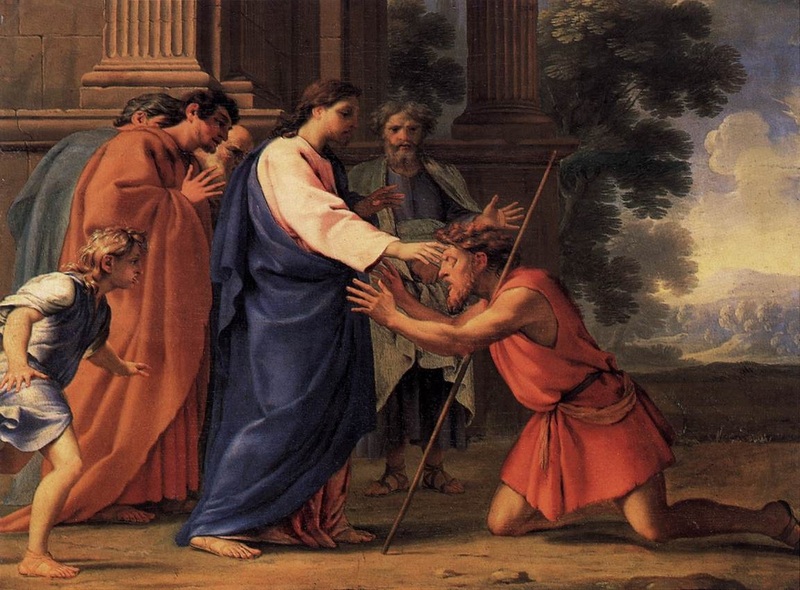 He asks Jesus to have pity on him, what does that mean? Does something special happen in the story? You might like to act out this scene. The main actors are Bartimaeus, Jesus, the disciples, and the crowd.